If you have a WordPress Website up running, then perhaps you know about the risk being hacked of your site. Because hackers may try to break into your WordPress site by guessing your admin password, which is also known as brute force attack. However, by default, WordPress allows users to try different passwords as many times as they want, but you can add an extra layer of security to your WordPress site very easily. And, I think it’s important! So, in this article, I’m going to show you the step by step guide – how to limit login attempts to your WordPress site. But, at first, let me tell you about why you should do it. Why Should You Limit Login Attempts to Your WordPress Website? Having said, WordPress allows its users to enter passwords as many times as they want. You WP login password is the first layer of protection to your Website. But, hackers may try to exploit this by using scripts that enter different combinations of passwords until your website cracks. However, you can limit the number of failed login attempts per user to prevent this kind of attempts. There are a bunch of WordPress Plugin available that you can use to limit login attempts to your site. As an example, after 5 failed attempts, the user will be locked out temporarily. This means, if someone does more than 5 failed attempts, your site will block their device’s IP for a temporary period of time-based on your settings. Whether you can make it to 5 minutes, 20 minutes, 24 hours, and even longer. First, you need to install the plugin – ‘Limit Login Attempts by Johan Eenfeldt’ to your WordPress site. So, go to the plugin section of your WP dashboard and click the ‘Add New’ button. Then, you’ll be landed on the page for installing the plugin. Now, search for the plugin on the search bar including the author’s name (because there are several plugins with the same name), it’ll come out. Then, simply click the ‘Install’ button and then click the ‘Activate’ button. Once it activated, you’ll also find a new option named ‘Limit Login Attempts’ under your WP Settings. Now, click the option and it’ll open the settings page to limit login attempts to your WordPress Website. Here, you can see the statistics of total lockouts and the options to change the number of login attempts including the time of a single and buck lockout. This limit login security is so powerful, works even against the users who attempt to login through a proxy server. It also lets you limit the number of attempts to log in using auth cookies in the same way, and can inform you about lockout by email. So, that’s it. Now, login attempts to your WordPress Website are limited and the site is safe against brute force attack. Perhaps, you always use strong passwords on your WordPress site, though strong passwords are difficult to remember. But, when it’s about the safety of your Website, I think it’s worth to remember or keep the password by taking a note. ‘Limit login attempts’ is so useful to prevent most of the Brute Attacks, all though no website is 100% safe. Because hackers always find a new way around to crack websites. That’s why it’s crucial to take a backup of your site always. 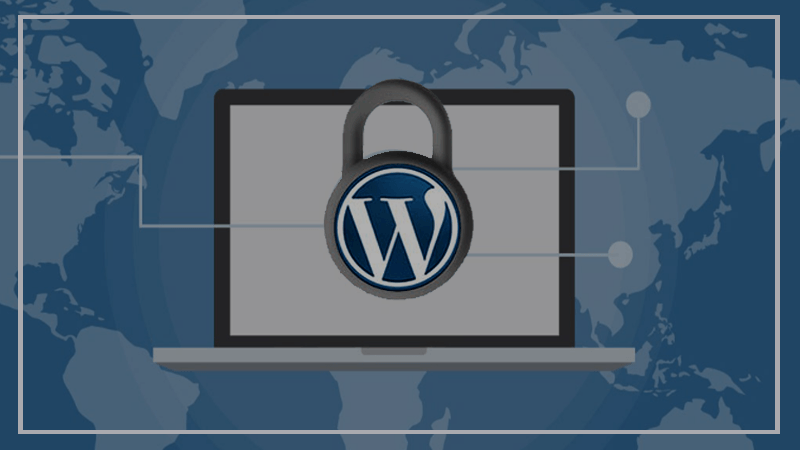 However, there are more options to extend your WordPress Website security. Like, you can add a firewall which takes care of the brute-force attacks and so much more including malware and DDOS. Hope you found this article useful, and you have successfully added login attempts limit to your WordPress site. If you like this article, share it with your friends and let us know your thought by commenting. Even, if you’ve already added limit login attempts to your WordPress Website using any other plugin or way. Let us know also about that, we’ll be happy to know.